Well, it’s been a few months since I covered this subject…and in the time that has passed, I’ve noticed a continued interest in A2A gunnery and gunsights. So much so, in fact, that I’ve decided a return visit might help some to better understand what’s going on when we try to blow the wily bandit away! A2A gunnery is one of the most difficult of all fighter related flying skills, and one thing is for certain. Luck only goes so far! ‘Spray and pray,’ as some would have it, has a chance for success, but only a small one. The simple fact is that proficiency in A2A gunnery is founded on a bedrock of academic theory followed by the fine art of practice, practice, and more practice! While some folks have a better ‘eye’ for this than others, all of us can better our hit percentage if we understand what factors are in play as we close in on our target. So, without further ado, let’s get right to those factors. One note…I’m going to limit this article to fixed sight systems. Right now, WW2 sims are sprouting up all over the place, and most of that era’s fighters used a fixed sight. Lately, I’ve been having great fun with the online WW2 sim, Aces High, and also have been enjoying the lively discussions on the AH forums. Hats off to the many enthusiastic and imaginative simmers there…it’s your questions and comments that are the reason for this article. And another note…a successful gunnery attack is like any job you might take on. You need the correct tool to do it right. In A2A gunnery, that tool is your gunsight. In this article, I’m going to use the gunsight as a way of discussing the mysteries of the gun attack. Lastly, this article contains two kinds of info…academic stuff for those of you having an interest in such things…and practical tips on how to design a gunsight to better understand the gunnery problem. Take your pick on what is your cup of tea! That being said, let’s move on! So, here we are…we’ve BFM’ed the bandit until we have him right where we want him. He’s in front and we’re behind and all we have to do is drill him good. ‘Ahhh,’ we all say, ‘Easier said than done!’ Some might say, ‘What’s the big deal?…just point the gun at him and make him go Boom!’ More often than not, this gets us nothing but a smaller number on the ammo counter. OK…so what’s the problem? 1. You must get in range. 2. You must get your gun line in the plane of motion of the target. 3. And you must fire with the correct lead for target motion. Alas, there was the bandit…but he was so small! He was much larger than that when I pulled the trigger! What could have happened? Well, what happened is that inexperience and excitement overcame good sense. I had the pipper on the bandit…no argument there…but it was way out of range. In my rush for the kill, I had been blind to the actual relative target size. And my experience was not unique…out of range gun attacks have been with us ever since the first fighter took to the air. I’m sure you all would agree that out of range is a bad thing. OK…why? Sure, there is the no-brainer answer that if the bullet won’t get there, you don’t have much of a chance for a kill. But there are other things at work here…and they all have a significant effect on how well we do. Two of the more important of these are convergence and dispersion. Let’s take a brief look at these two terms. For purposes of this article, I’ll define convergence as the process of adjusting the gun mounts so that the gun lines come together at some specified distance in front of the fighter. The intent is to concentrate the firepower of multiple guns into a small area, thereby improving the chances of mortally damaging the target. Another name for convergence is harmonization. This term, not convergence, is more often used today…but, in this article, we’re dealing with primarily the WW2 era, and so we’ll stick with convergence. There are two parts to the convergence process. The first is the horizontal adjustment that brings the gun lines together in azimuth at the desired range. This type of convergence normally applies only wing mounted guns…not to guns mounted on the fuselage centerline. The second part of the convergence process is the vertical adjustment of the guns. This gun aiming procedure adjusts the aim point of the gun so that the rounds fired are corrected for gravity drop at the desired convergence range. This is done to ensure that the projectile flight paths cross the sight line at the convergence range. Since gravity acts on the rounds after they are fired, the guns are typically angled slightly up to raise the gun line(s) up to the sight line. Depending on the range specified, this may result in the bullet stream initially going above the sight line until gravity brings it back down to the sight line. In Aces High, we can set our own convergence values…a typical setting is 300 yards. At the start of WW2, this would have been an accepted value. In fact, the Royal Air Force standard for convergence in 1939 was 400 yards…despite hard evidence from intelligence coming from the Spanish Civil War that the Luftwaffe was using a value of half that. Let’s stop here and understand why the RAF arrived at that 400 yard convergence figure. 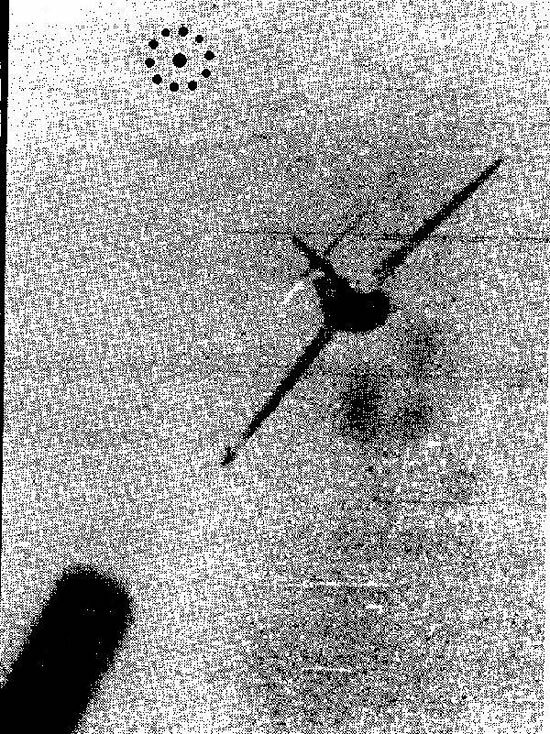 Simply put, they believed this to be the proper range to gain the maximum number of hits on a target…but you must realize that the ‘target’ in the mind of the RAF leadership in 1939 was not a Me-109. Instead, it was a He-111 or Do-17. Prior to the Battle of Britain, the RAF made the near-fatal error of thinking that any air war with Germany would be against a Luftwaffe operating from German bases. 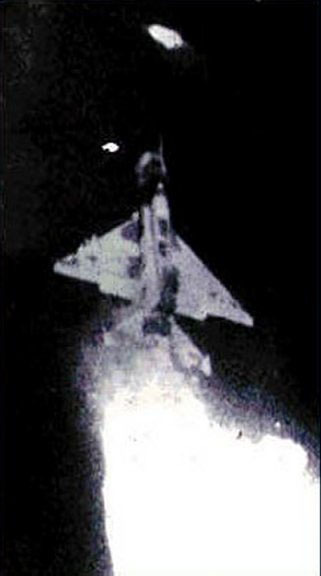 The mission of the RAF would be to intercept bomber attacks over England…and because of the distances involved, that tended to rule out the bombers being escorted by fighters. Few imagined that the Luftwaffe might operate from bases in France and the Low Countries, thereby permitting the use of fighters over England. The RAF’s narrow victory in 1940 may not have immediately changed the ‘official’ view of convergence, but it certainly changed many a pilot’s mind. There, and for the remainder of the war, regardless of nationality, the mantra of ‘get in close’ was universally acknowledged. While no one established exactly what that meant in specific numbers, most pilots understood the advantages of point blank firing ranges! I suggest then that you use 300 yard as a max convergence range. This value or less will pay off in smaller lead angles. In addition, if you use a mixed armament of machine guns and cannon, you may find the weapons have less of a problem with differing ballistics at shorter convergence ranges. Dispersion is the ever-widening pattern that the projectile path experiences as range increases. This effect is linear…meaning that the bullet stream spreads out at a fixed angle…dispersion at max range is a serious consideration. Why? Because the widening pattern results in fewer rounds in a given amount of airspace. As range increases, dispersion expands, and target relative size decreases, resulting in this situation. Clearly closer is better! Here’s one more term you may run across. Boresighting is one way to adjust the guns for convergence. The term comes from the concept of looking down the barrel (the bore) with an optical device (the sight). A board with calibrated markings is placed in front of the aircraft at a specified distance (1000 inches is typical). The board is aligned with the longitudinal axis of the aircraft and is set to coincide with the gunsight in the fixed position. The markings on the board are where the gun line(s) intersect the board for a given convergence range. The technician uses the optical sight to look down the barrel. He then adjusts the gun mount until his sight is pointed exactly at the marking on the board. Then the gun is tightened down as it is now aimed properly for the desired convergence range. Regardless of the design of the sight that you like to use, it has lines or curves that you can use to estimate range. 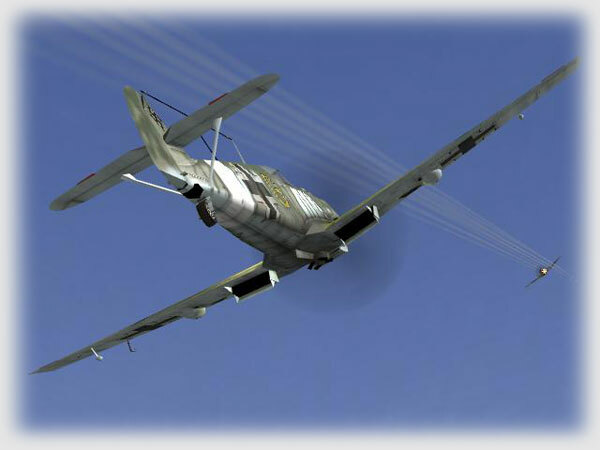 In its most simple form, this consists of flying behind a target and comparing the size of the target to markings on the sight. These markings represent how large a target of a known size will appear at various ranges. Can we do this with our simulation gunsights? In most cases where the sim has range cues, the answer is yes. Here’s how. In AH, we can go to the off-line area and fly behind one of the drones at our desired convergence range. Film this using the recorder function (Alt+R). Then play back the film and stop the film when at your convergence range. Observe the relationship of the wingspan of the drone to your sight. We will compare the size of the sight features to the target wingspan. With the default sight, you can see that the P-51 drone wingspan appears to be about half again as wide as the gap between the horizontal bars of the sight when we are at the 300 yard point. The wingspan of the P-51 is representative of a typical WW2 fighter wingspan. If you use this relative target size as an example of what a 300 yard range looks like when compared to the default sight, you won’t be far off regardless of whatever type of target you have. And, no matter what sim you fly, this technique remains valid…as long as you can determine range by some means, you can use the sight as a range indicator. In either case, you have a sight that tells you what the target should look like at your convergence range. This type of ranging is known as stadiametric ranging, and while the procedure is a bit more complicated in real life, this technique works well in Aces High. Good! Now we have found a way to solve the first problem of range. Now we move on to the second problem…how do we get our gun into the target’s plane of motion? A2A gunnery instructors often stress the need for the student to ‘get into the plane of motion of the target’. All well and good…but what they really mean is that they want the student to get his projectile path into the target’s plane of motion (POM). Big deal, you might say…what’s the difference? Well…depending on range, it might be significant. Here’s why. Picture the target in a turn. The plane of that turn will be determined by its bank angle and G load. The only time that gravity is in alignment with the target POM is when the target’s POM is perpendicular to the horizon…any other time, gravity and the target POM will be misaligned. Now, when we shoot at this target, our rounds are going to be affected by gravity. If the target POM is not perpendicular to the horizon, then we will have to add a gravity drop correction to our aiming solution. We do that by aiming above the target’s POM (relative to the horizon) in order that our rounds ‘fall down’ to coincide with its POM. Our objective is to get our rounds into the target POM. We can do this two ways. We can fly with our POM paralleling the target and our sight placed at the correct position ‘above’ the target POM. If we match the target’s turn rate, this is called ‘tracking’. Ideally, all rounds fired would hit the target. The second way is to fly our aircraft such our flight path intersects the target POM. We fire early enough to allow our rounds to intersect the target POM…and the target flys through our rounds. This is called a ‘snapshot’. While I’m here, how about another tidbit of terminology! One term popular in WW2 was the idea of ‘deflection’ shooting. Let’s define that term. Deflection refers to the angle off relationship between the shooter and target. A deflection shot was any firing attempt made with angle off greater than zero. While a deflection shot may be a tracking shot or a snapshot, it is most often thought of as a non-tracking snapshot. As angle off increases, so does the ‘deflection angle’…and the amount of lead required. Unfortunately, since the target could fly in any POM relative to our flight path, it is impossible to have a fixed sight that could have enough lines to cover all possibilities. The ones with a vertical line and a line at 45 degrees can be useful. Even though these lines may not exactly match the target POM, they may be helpful in stabilizing your sight in that plane. Aside from lines on the sight, if you intend to track the target, a good way to stabilize your sight in the target POM is to match its bank angle with your own. Position yourself with the sight firing reference (the pipper) slightly above the target POM and level your wings relative to the target. As long as your G load is approximately the same as the target’s, you should have similar bank angles. One other POM cue is available from most forward views. This is the cockpit structure in the HUD area. For low G tracking situations, use the line of the glare shield (or windshield line) as a rough approximation of the bandit flight path. For high G situations, use the vertical HUD supports. As you bring your nose to the target, you can use cockpit references such as these to stabilize in the bandit’s POM. So far, so good! We have now solved for target range and target POM. Now comes the ‘biggie’…the bane of all deflection shooters…the problem of getting the lead right!